Brazil’s defense minister said on Thursday that Boeing, Lockheed Martin, SpaceX and other U.S. aerospace companies have expressed interest in launching rockets from its Alcantara military base near the equator and visited the site in December. Besides SpaceX, Lockheed Martin and Boeing, the Alcantara visit included smaller aerospace U.S. companies Vector Space Systems, which launches small satellites, and Microcosm, which focuses on providing low-cost access to space, an organizer of the trip said. 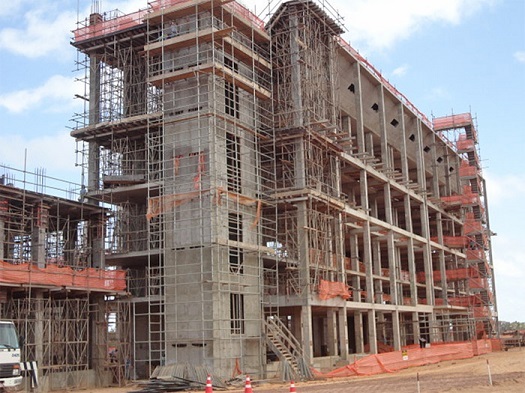 Rubens Barbosa, a former Brazilian ambassador to the United States who organized the visit to the base, said the U.S. companies were eager to use the Alcantara site. Reuters reports that SpaceX denied interest in launching from the facility, whose location at about 2 degrees from the equator makes it ideal for launching communications satellites to geosynchronous orbit. Alcantara is used for sounding rocket launches; it has never hosted an orbital launch. Brazil’s effort to develop a domestic launcher has not been successful. In August 2003, the program suffered a major setback when the explosion of a VLS-1 booster killed 21 people at Alcantara. A joint Brazilian-Ukrainian effort to launch Cylcone-4 boosters from Alcantara collapsed in 2015 after a dozen years of effort. The project left behind partially completed launch infrastructure. Old rockets never die. They just migrate to a different part of the globe. Ukraine’s Cyclone 4 satellite booster — left without a launch site in 2015 following the end of a decade-long partnership to launch it from Brazil’s Alcantara spaceport — has resurfaced. And Nova Scotia, Canada is on the list of possible launch locations. The Canso-Hazel Hill area in Guysborough County has been shortlisted as a future launch base to send satellite-carrying rockets into space, one of a handful of spots across North American being eyed by a Nova Scotia company…. “The Canso site prospect is the most mature one in Canada at this point, but not the only candidate,” company president Steve Matier said in an email. Matier spent most of 2016 evaluating about 15 potential launch locations in North America for the Ukrainian Cyclone 4M medium-class rocket…. Maritime Launch Services was jointly formed in Nova Scotia by three U.S. companies. 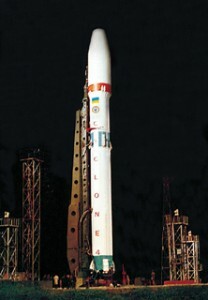 Alcantara Cyclone Space, a partnership of the Brazilian and Ukrainian governments, had previously attempted to launch the booster from the South American nation. However, the program suffered delays and cost overruns amid questions about the rocket’s commercial viability. The Brazilian government pulled the plug on the program in 2015 after a decade of effort. RESTON, Va. & DNIPRO, Ukraine — The Yuzhnoye Design Office in Dnipro, Ukraine has been authorized by the State Space Agency of Ukraine to proceed with a new international launch complex and operations in North America based on the existing Cyclone 4 rocket. The International Monetary Fund estimates the Ukrainian space industry lost up to 80 percent of its revenues following the Russian invasion of the eastern part of the country. It looks like the rumors I reported last month are true. 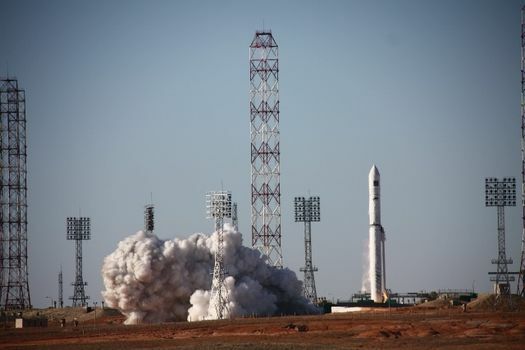 Brazil has decided to pull out of its joint program with Ukraine to launch satellites aboard Cyclone-4 boosters from the Alcantara Launch Center. In an April 14 interview at the Latin America Aero and Defense, or LAAD, show here, Noronha de Souza said a formal government announcement, likely from the Ministry of Foreign Affairs, on the program’s stoppage was imminent. Is Brazil Ending Cyclone-4 Program With Ukraine? A report out of Brazil says President Dilma Rousseff is preparing to end the long trouble and repeatedly delayed Cyclone-4 program with Ukraine. The story, written by Roberto Lopes, the opinion editor of the Journal of Defence Forces, quotes a sourcein the Ministry of Foreign Affairs. “Pivdenmash [Yuzhmash] is in deep financial crisis, the main factor which is a precipitous decline in production. The current crisis is not irreversible, but the situation is close to the point of no return. This was four months ago. And by all accounts, matters have only gotten worse. The fighting eastern Ukraine has intensified. The government’s finances haven’t improved. And employees were given two-month unpaid leaves in late January. That came after many months of 3-day work weeks and partial pay. LEUVEN, Belgium (SpaceBillboard PR) — SpaceBillboard, a supporter of innovative space research, is set to launch the world’s first billboard in space in a milestone that marks the increasing importance of CubeSats in Space Exploration. 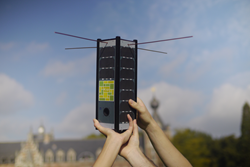 Researchers at KU Leuven University in Belgium came up with the novel idea of launching a real billboard into space to help fund their research on a new line up of NexGen satellites called CubeSats. A CubeSat is small – about the size of a milk carton – and lightweight, which makes them cheaper to build and launch. A CubeSat is the perfect answer for universities and start-ups to get involved in space research, one of the bedrock platforms for research on advanced technology solutions. 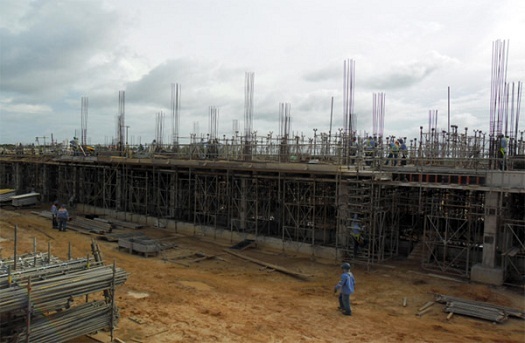 Will Sea Launch End Up in Brazil? Russia’s efforts to find a new home for its failure-prone Sea Launch company has taken officials to rising South American power — and charter BRICS member — Brazil. That’s the word from Russian Deputy Prime Minister Dmitry Rogozin anyway. “A quite remarkable dialogue at the level of experts is currently in progress; possibly, the idea may take shape within the BRICS group, or in our bilateral relations with Brazil, of carrying out such joint launches and furnishing assistance to Brazil in developing its space industry and making its own spacecraft,” he said, adding that Brazil already had its own space site close to the ocean that would fit in well with such tasks. 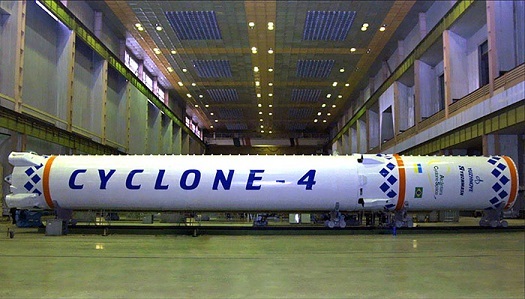 The current events in Ukraine have not impacted the Cyclone-4 Project development. Currently, the Launch Vehicle development is progressing as scheduled, and it will be ready for delivery to Alcantara in the second half of 2015. BRUSSELS, Belgium — On January 27th, 2014, Alcantara Cyclone Space (ACS) and Von Karman Institute (VKI) signed a launch service contract for the QB50 Project co-funded by the European Commission within the 7th Framework Program. The contract was signed by Oleksandr Serdyuk, Ukrainian ACS General Director, and Jean Muylaert, VKI Director. QB50 will place into Low Earth Orbit a combination of 50 double and triple CubeSats for atmospheric science and in-orbit demonstration of space technologies. The mission, conducted by an international consortium of partners, will facilitate access to space for educational, technology and scientific purpose involving the worldwide CubeSat community. The launch is planned for 2016. On January 28th, 2014, the launch service contract was officially announced to the QB50 community at the 7th QB50 Workshop held on the premises of VKI, in the presence of Florence Béroud, a European Commission representative. Ukraine had a mixed record in space in 2013. While the Dnepr rocket returned to service with a pair of successful launches after a two-year gap, one of two Zenit boosters ended up in a watery grave after it failed shortly after launch. Ukrainian companies had better luck as a components supplier. Orbital Sciences Corporation’s Antares — which boasts a Ukrainian-supplied first stage — racked up two flawless flights. Meanwhile, the European Vega booster made a second successful flight with a Ukrainian fourth stage on board. Meanwhile, a joint partnership with Brazil to launch the Cylcone-4 rocket from South America made progress even as it suffered additional schedule delays that have pushed back the maiden flight into 2015. Space News has an extensive Q&A with Yuriy Boyko, Ukraine’s Vice Prime Minister for Ecology, Natural Resources, Energy and Space. The interview primarily focuses on the nation’s space program, its joint Cyclone 4 launch vehicle program with Brazil, and its efforts to increase cooperation with the United States and China. 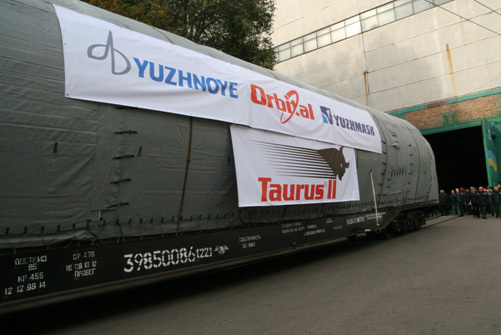 Ukraine’s main launch vehicles include Zenit (Sea Launch, Land Launch), Dnepr (joint program with Russia), Cyclone 4 (joint program with Brazil), and the first stage structure for Orbital Sciences Corporation’s Antares. Ukraine is consulting with China, which is very interested in developing large propulsion systems. 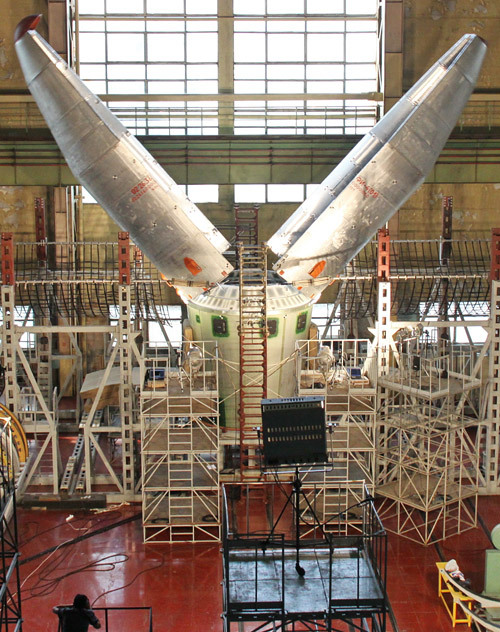 Aviation Week reports the decade-long effort to launch Ukraine’s Cyclone-4 rocket from Brazil’s Alcantara Launch Center is going to take a little longer. The inaugural flight has now slipped into late 2015 at the earliest, adding to what has already been years of delay. Meanwhile, costs of building the launch complex have nearly doubled and are approaching $1 billion.